Receive lifetime income while making a substantial gift to the Dignity Health Foundation East Valley. 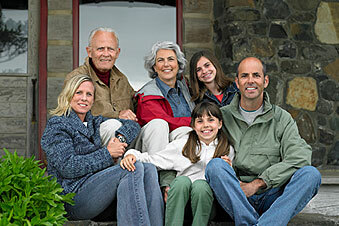 Pays a fixed dollar amount to you and/or another beneficiary you name. Creates an immediate income tax deduction. Income is guaranteed for life. A portion of the income may be tax-free. Rates based on your age and/or another beneficiary you name. Pays a variable rate of return to you and/or other beneficiaries you name. Provides income for life or a term of up to 20 years or a combination of the two. You receive an immediate income tax deduction for a portion of the value of the assets you place in the trust. After the trust terminates, the balance goes to the Dignity Health Foundation East Valley to be used as you designate. You avoid all upfront capital gains tax on any appreciated assets you contribute to the trust. Pays a fixed dollar amount to you and/or other beneficiaries you name. Provides income for life or a term of up to 20 years. or a combination of the two. Donate your home to the Dignity Health Foundation East Valley, and live there for life. Receive an immediate tax deduction.